When it comes to defining characteristics and consumer participation and engagement for choosing products between one company and the other, ‘Branding’ plays the most crucial role. The coherence of the values, product features, and attributes, transparency, quality and adherence to the core mission (which the company swears by and what it delivers) to the customer expectation creates the foundation of “Product or Company Branding” mechanism. A “Branded” product (which has its umbilical cord attached to its company of origin) is preferred over similar products from other companies (which are “not branded”). 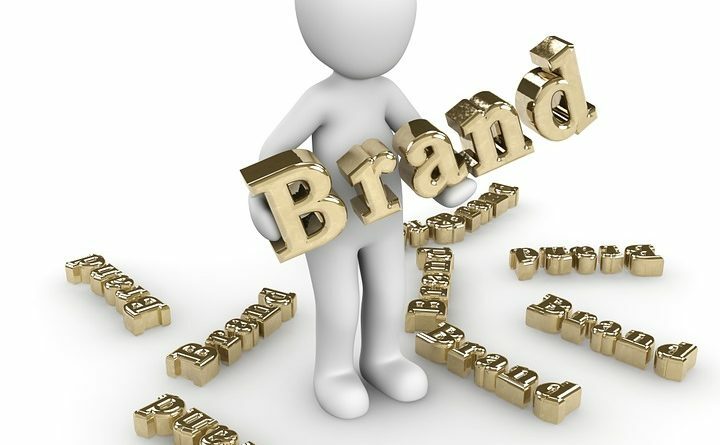 A brand resonates with the company’s awareness, prestige, and distribution in the marketplace. In this internet age, companies are relying on their product ambassadors (or “consumers”) to propagate the qualities of their product or service to a larger forum (via blog posts, social media marketing, etc. Of course, this form of a digital campaign is not limited to a domestic geographical standpoint, but a much larger stretch (across international borders). One may scratch their heads to identify the elements to create their own brand and have a personalized approach towards it. In today’s internet age, the maximum amount of customer (or audience) concentration lies in the virtual world. This has generated a dire need of a concrete digital framework (online address, logo, identity authentication of the website, etc.) for each business or proprietorship endeavors. That being said we got a bit confused and decided to take the help of some industry experts in the form of Little Rock Printing in order to determine the most important factors for a personal brand. They provided us with multiple factors, and we are going to look at a few distinguishable characteristics or approaches to create a brand for yourself that jumped out from the entire conversation that we had. 1. Whether it is a company or an individual, having a clear mission, vision and goal play a vital role in defining the service and character of the entity. As the popular saying goes “Jack of all Trades, Master of None”, it is imperative that an individual, as well as a business (in its initial stages), must adhere to only one goal at a time (one product in case of a business). This will help define the approach on how to overcome the challenges (monetary or otherwise) but still complete the journey with ease. 2. Every person is gifted in one or more ways. There is another theory to this. Every person can get skilled in more than one way. We all are aware of our strengths and weakness. Since branding reciprocates with the robustness of a character or behavior of a product or individual, one must emphasize and strengthen their positive traits in character or business (a particular or defining product or service). 3. An illuminating, and attractive personality always stands out of the crowd. This concept has remained unchanged from time immemorial. It is not the muscle power or impeccable dressing sense that defines the character or personality of an individual. It is their principle, their opinion (voiced out at the right time) and the overall demeanor that drives the crowd crazy. Or else, we wouldn’t have the world following Mahatma Gandhi, Mother Teresa, Charlie Chaplin, Martin Luther King, and many other legends. The same theory holds strong in case of a business and its product line. 4. A story, an ideology, a concept – these features are responsible for the creation of a brand. People connect to stories (provided it is genuine and soul-piercing). Everybody has a story to share. Life is all about challenges and how people overcame those. Pictures get embedded in the hearts and minds of the viewer more than a theoretical approach. Weaving a story which has beads of emotions, flamboyance, and motivation is a brand in itself. 5. A defining statement to the service you are skilled at (as an individual) or product with a target audience in mind (as an entrepreneur) adds value to your brand. A subtle personalized touch to your brand can be brought about by a brand statement. Hence, if need be get an expert advice or assistance for a distinguishing but catchy brand statement for yourself.